Blackall Range Provisional School opened about 1886, becoming Blackall Range State School on 1 October 1909. It was renamed Wootha State School in 1937. It closed in 1949. 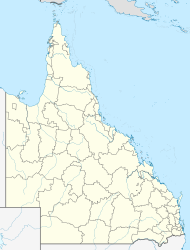 ^ a b "Wootha - locality in Sunshine Coast Region (entry 48944)". Queensland Place Names. Queensland Government. Retrieved 12 September 2017. This page was last edited on 12 September 2017, at 02:19 (UTC).